If you were hoping that Chevrolet’s anticipated revival of its Blazer nameplate would result in a modern-day off-roader that could square off against Ford’s soon-to-be-unveiled 2020 Bronco, we’ve got bad news for you. 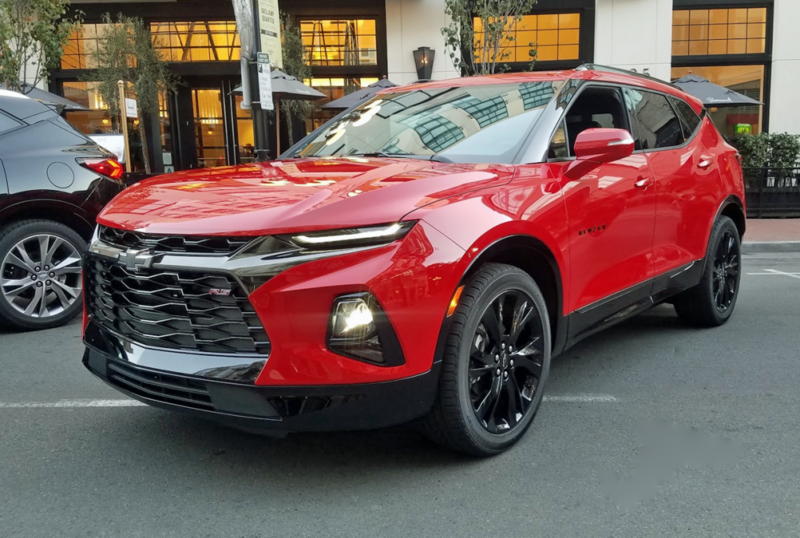 Whether you recall the original “K5” Blazer of 1969-1994, or the S-10 compact-pickup-based version that ran from 1982-2005, you might want to push those memories aside: The new-for-2019 Chevrolet Blazer shares its name and nothing else with its body-on-frame, off-road-focused forebears. Blazer RS models get a more aggressive look via blackout trim and a unique rear fascia with rectangular exhaust tips. No, this new Blazer is a unibody-based crossover SUV that is primarily focused on on-road performance. It isn’t intended to compete directly with the new Bronco, or Honda’s just-launched Passport, or a Toyota 4Runner, or with most versions of the Jeep Grand Cherokee (and certainly not a Jeep Wrangler). The Blazer’s main rivals are the Ford Edge, Hyundai Santa Fe, and Nissan Murano, though it aims for a sportier personality than any of those two-row competitors. 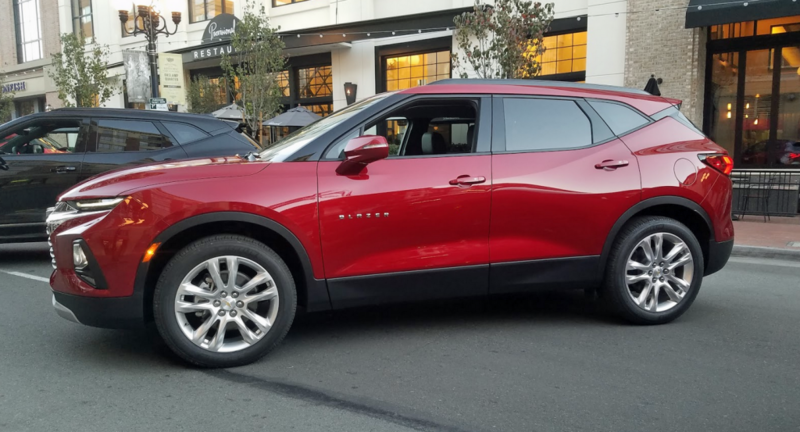 The Blazer’s available V6 engine is notably more powerful than all but the performance-focused Edge ST model, and we see more than a little of the Chevrolet Camaro in the Blazer’s aggressive front-end styling. The Blazer’s rear-end styling isn’t quite as assertive as the front, but the upswept rear roof pillar treatment adds some flair. Four-cylinder Blazers (right) come with 18-inch aluminum wheels and mandatory cloth seats. The Blazer seats up to five in its two rows of seats—a third row is not available. It shares its basic platform with the GMC Acadia and Cadillac XT5, but in the interest of on-road handling, it has a slightly wider track width—44 millimeters, to be exact—than its corporate cousins. The Blazer helps Chevrolet flesh out its crossover SUV lineup, slotting in between the compact Equinox and the three-row “large midsize” Traverse. The narrow slit lights at the top are LED daytime running lamps; the headlights are mounted below. The RS model gets a more aggressive grille pattern in addition to its blackout trim elements. 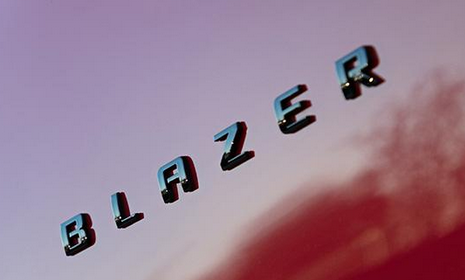 The Blazer model lineup spans a rather broad price range—particularly when optional equipment is added. The base Blazer L model starts at $29,995 (all prices listed here include the $1195 destination fee) and comes standard with features such as cloth upholstery, dual-zone climate control, passive entry, cruise control, leather-wrapped steering wheel and shift knob, 18-inch aluminum wheels, and GM’s Teen Driver monitoring system. The step-up 1LT model starts at $33,495 and adds XM satellite radio, an 8-way power driver’s seat, privacy glass, body-color mirrors, and illuminated vanity mirror. 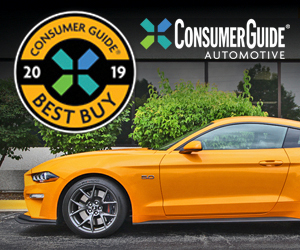 Both the above trim levels are available solely with front-wheel drive and the Blazer’s base engine: a 2.5-liter 4-cylinder that puts out 193 horsepower and 188 pound-feet of torque, and is paired with a 9-speed automatic transmission. It’s EPA-rated at 23 mpg city/29 highway/25 combined. Premier (left) and RS (right) interiors offer similar levels of luxury, with the RS getting a sportier look via dark-finish and red-tinted trim elements, and red contrast stitching. Aft of the shift lever is a drive-mode control knob with Normal, 4×4, Sport, Off-Road, and (if equipped) Tow/Haul settings. Stepping up to the 2LT model ($33,495) or above gets you a standard 3.6-liter V6 that makes 308 horsepower and 270 pound-feet of torque, and is also paired with a 9-speed automatic. The 3LT ($38,695) adds leather upholstery, heated front seats, 6-way power front-passenger seat, power liftgate, black roof rails, remote start, side blind-zone and lane-change alert, rear cross-traffic alert, rear park assist, and a universal garage-door opener. The sporty RS model ($41,795) adds 20-inch RS wheels, sport-tuned suspension, a unique grille and blacked-out exterior accents, unique interior trim with perforated leather seats, upgraded driver information center, connected navigation system, ambient interior lighting, 110V power outlet, a USB port and SD slot in the center console, rear cargo-management system, and a hands-free power liftgate. The feature-rich Chevrolet Infotainment 3 touchscreen interface is a Blazer strong point. The available HD Surround Vision camera display includes a view of the front fenders and wheels–a nice aid when parallel parking. The line-topping Premier model ($43,895) also gets unique trim accents inside and out, as well as the RS’s equipment upgrades. It also receives an 8-speaker Bose premium audio system with subwoofer; heated/ventilated seats; heated steering wheel; heated outboard rear seats; a power tilt/telescopic steering wheel; and memory seats, mirrors, and steering column. All V6-powered Blazer models are available with front-wheel drive or all-wheel drive. The 3LT’s AWD setup is a single-clutch system that adds $2700 to the bottom line, while the RS and Premier get a more sophisticated dual-clutch AWD system that tacks on $2900. V6 Blazers are EPA-rated at 20 mpg city/26 highway/22 combined with front-wheel drive, and 19/25/21 with all-wheel drive. Chevy says the Blazer has a max towing capacity of 4500 pounds with the V6 when properly equipped, and 1500 pounds with the 4-cylinder. With the rear seat backs folded, the Blazer has 64.2 cubic feet of cargo volume–a bit less than most two-row class rivals. The rear seat is comfortable for average-sized adults; the seats slide fore and aft, and the seat backs recline. At the Blazer’s press-preview event in San Diego, we got seat time in optioned-up all-wheel-drive RS and Premier models, as well as a quick spin in a 4-cylinder model. The four is perfectly responsive in city driving, and provides adequate—but not spirited—acceleration on the highway. The V6 is gutsier all around, naturally. It provides satisfying go, and the alert 9-speed transmission shifts smoothly. You’re out of luck if you like steering-wheel paddle shifters, however—the Blazer doesn’t offer them. A fuel-saving engine stop/start system (which shuts down the engine when the vehicle comes to a full stop and restarts it when the driver releases the brake pedal) is standard. It’s one of the smoother, less-obtrusive stop/start systems we’ve tested, which is good, because unlike most of the others, this one can’t be turned off. 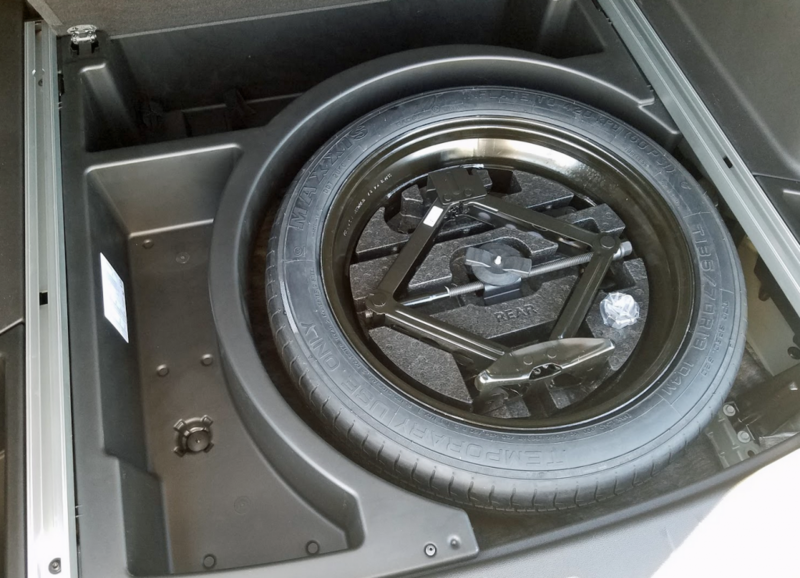 Underfloor bins next to the spare tire provide a bit of hidden extra storage. The Blazer strikes a nice balance between ride quality and handling. Even with the RS’s sportier suspension and available 21-inch wheels, bump absorption was fine and the ride was never unpleasant. The steering has a nicely weighted, linear feel. As two-row, mainstream-brand midsize SUVs go, the Blazer is fairly entertaining to drive on a curvy mountain road. There’s enough room in both the front and rear seats to comfortably accommodate all but the largest occupants. The rear seats slide fore and aft to benefit legroom or cargo space, and the rear seat backs recline, freeing up a bit more headroom for extra-tall passengers. Cargo volume checks in at 30.5 cubic feet behind the second-row seats (enough to fit four golf bags), and 64.2 cubic feet of cargo space with the rear seat backs folded—along with a bit of bin space under the cargo floor around the spare tire. The rear seat backs can be folded via manual release levers in the rear cargo area, a welcome feature. The Blazer’s cargo numbers are comparable to the Nissan Murano, but they come up shy of the Hyundai Santa Fe (35.9 cu. ft. behind the rear seats and 71.3 overall) and Ford Edge (39.2 and 73.4, respectively). Small-item storage space is decent; there are handy bins on both sides of the rear cargo floor, an average-sized center-console armrest bin, a generously sized glove box with a separate power release button on the dash (the glovebox can be locked when the vehicle is in valet mode), and two-tiered pockets in the front-door panels. There are bottle holders in the front and rear door panels, and two cupholders each in the front center console and rear-seat fold-down armrest, but they aren’t large enough to handle extra-large drinks. The available wireless device charger takes up most of the console space forward of the shift lever and cupholders. The dashboard has an attractive, sporty design that looks especially nice in RS or Premier trim, but we encountered a couple ergonomic peculiarities. The large, round HVAC vents look great (and very much like the units in the Chevrolet Camaro), but the low-mounted driver-side central vent blew mostly on our right hand on the steering wheel. The climate-mode buttons are slightly obstructed by the protruding ledge that sits above them on the dash, and fan-speed buttons are somewhat oddly placed (though the stacked lights next to them that indicate fan speed are a nice touch). Chevrolet’s thoughtfully designed, feature-rich “Infotainment 3” touchscreen interface is standard equipment. The 8-inch high-definition touchscreen uses smartphone-esque features such as simplified “app-style” icons; the ability to swipe between screens; and available in-vehicle connected apps such as Spotify, The Weather Channel, Fox Sports, and USA Today. Speaking of smartphones, there’s also an available myChevrolet mobile app that includes features such as vehicle diagnostics, remote lock/unlock and engine start/stop, vehicle locator, and the ability to send a destination to the vehicle’s navigation system. Premier models come standard with 20-inch wheels (left), but 21-inch pearl-nickel-finish wheels (right) are optional. Apple CarPlay and Android Auto connectivity is offered, and users can toggle back and forth between their smartphone interface and the Infotainment 3 system by pressing and holding the home button below the touchscreen. The vehicle’s 4G LTE Wi-Fi hotspot enables up to seven devices to be connected, and an unlimited data plan is available. Customizable user profiles can be assigned to a key fob and/or accessed through an icon on the touchscreen; these can include settings such as touchscreen icon layout and, if equipped, memory seat/mirror/steering-column positions. The connected navigation system boasts some excellent features, such as an exit-planning function that lists restaurants and points of interest at upcoming freeway exits, or providing a report on the weather (via The Weather Channel app) at your destination. We also appreciated that navigation voice prompts can be turned off easily, and a route can be cancelled without multiple steps—two tasks that can be annoying on many navigation systems. The RS also comes standard with 20-inch wheels, and can be optioned with 21-inch gloss-black aluminum wheels. The Blazer’s comprehensive multi-view camera system is another great available convenience. In addition to a 360-degree bird’s-eye view, it offers a Hitch View top-down view with a center guidance line to make it easier to align the vehicle with a trailer hitch. There’s also a view that simultaneously shows a close-up view of the front fenders and tires, which helps avoid curbing a wheel (or other damage) when parallel parking or maneuvering in tight quarters. The Blazer’s option packages deliver lots of desirable equipment, but they also jack up the bottom line. Our 4-cylinder test vehicle had an $1845 Convenience and Driver Confidence Package that added remote vehicle start, an auto-dimming rearview mirror, heated outside mirrors with integrated turn signals, heated front seats, power rear liftgate, rear park assist, rear cross-traffic alert, lane-change alert with side blind-zone alert, universal home remote, and black roof rails. That brought its total price to $35,340. Our RS tester was equipped with the $2495 Sun and Wheels Package (which adds a tilt-sliding power panoramic sunroof with power sunshade and gloss-black 21-inch aluminum wheels) and the $3575 Enhanced Convenience and Driver Confidence II Package. 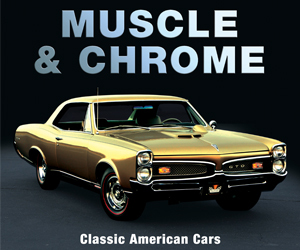 The “Enhanced Convenience” portion consists of memory settings, upgraded infotainment system with Bose premium audio, heated and ventilated front seats, heated outboard rear seats, and a power tilt/telescopic steering wheel. The “Driver Confidence” side is comprised of a rearview camera mirror, safety-alert seat, wireless charging, advanced adaptive cruise control, automatic high-beam headlights, following-distance indicator, forward-collision alert with automatic emergency braking and front pedestrian braking, lane-keep assist with lane-departure warning, and HD Surround Vision camera display. All of that pushed the bottom line to $50,765. Oof. Our Premier tester carried its own Sun and Wheels Package (also $2495) and a $2165 Driver Confidence II Package that contained all of the features listed above (Premier models come standard with the “Enhanced Convenience” contents). The Premier’s grand total came to $51,455. 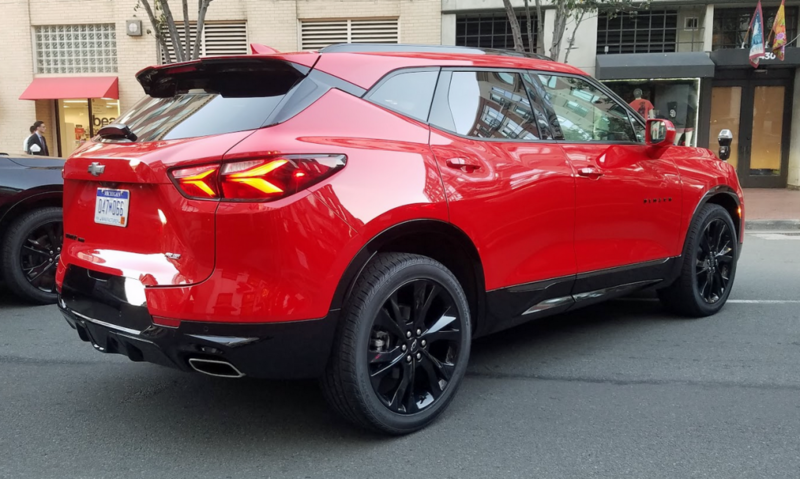 Admittedly, these are decked out, everything-but-the-kitchen-sink models, but a two-row, mainstream-brand crossover that crests the $50K mark doesn’t strike us as a great value. We recently had a top-line Hyundai Santa Fe Ultimate 2.0T with all-wheel drive through our office—a similarly spacious and capable, if not as powerful or dynamically engaging, two-row midsize SUV—and its sticker price snuck in under $40,000. We also recently tested the flagship AWD Elite trim level of the larger, three-row Honda Pilot, and it stickered for $49,015. That’s more people and cargo hauling capacity, and EPA fuel-economy numbers that are 1 mpg better all around, for almost $2500 less. We predict that whatever grumbling arises over the revised Blazer’s shift in mission will fade away quickly, just like it did when Dodge brought back its venerated Charger name for 2005 on a four-door sedan instead of a two-door coupe. The Blazer’s athletic attitude, lengthy list of available features, and excellent infotainment system should help it stand out in a crowded, competitive crossover market—particularly if shoppers prove willing to pay a little more than the norm for those virtues. The revived Chevy Blazer is a slickly styled crossover with a sporty personality and a long list of available features. Written by: Damon Bell on February 4, 2019.on March 22, 2019.